I readily admit that before hunting this week past I dug out my thermal long-johns. There can be no clearer fanfare for the arrival of the vernal seasons! Opening meet is fast approaching and the first bite of autumnal chill in the air. This bodes well for the hunting but also gets me thinking about my flask and what warming draught will keep spirits up covertside on those dark winter afternoons. 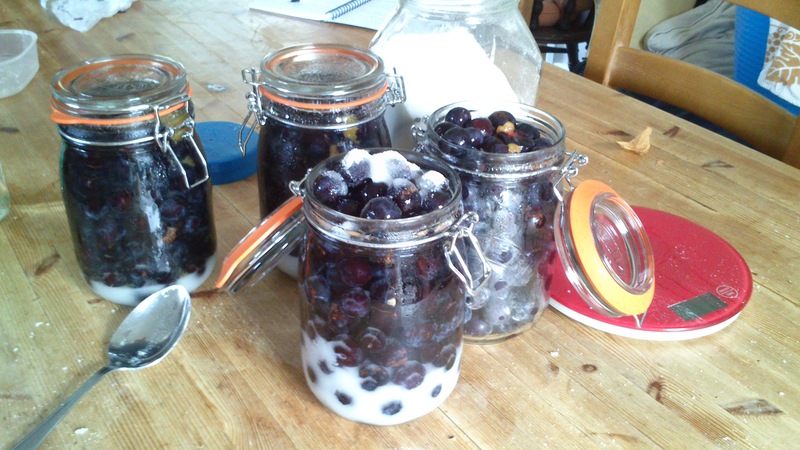 For all those who are thinking the same, I’d like to share my recipe for sloe gin. 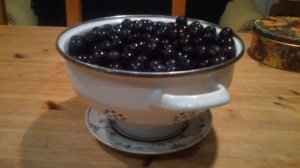 Sloes are the nearly inedible fruit of the blackthorn tree. 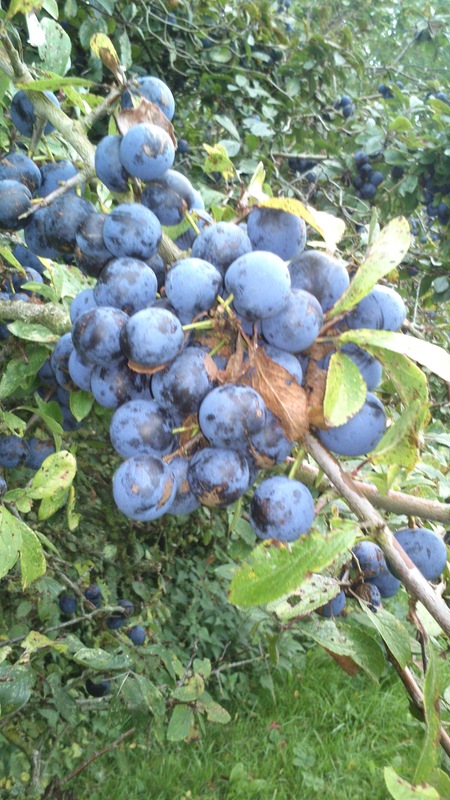 Our namesake bush is a stalwart of the hedgerow and the slate blue berries can be found for picking anytime after the middle of September into late October. 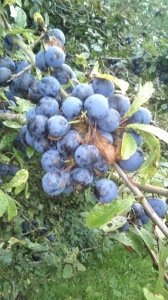 Sloes on the bush – this was a great year. 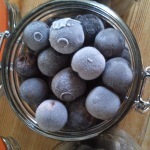 Sloe gin is the delightful tipple that comes from steeping the fruit in gin and sugar for an extended period of time. It is a hunting classic and a firm favourite with our guests. 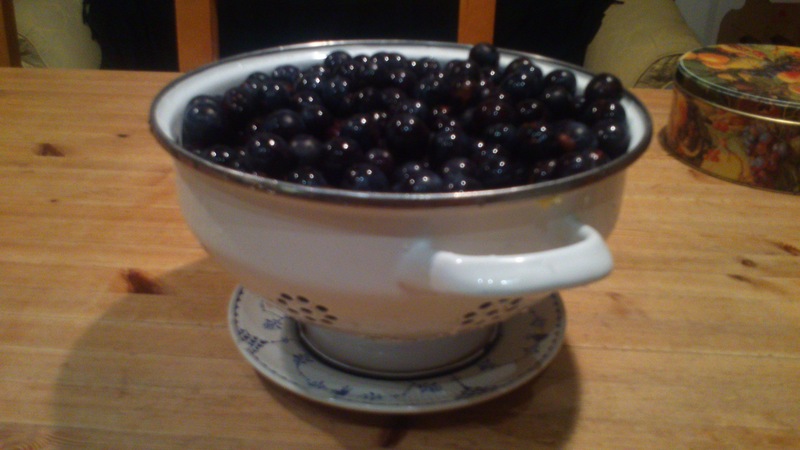 To make a litre you will need 750 grams of sloes (26 oz), 350ml of gin (12.5 fl oz) and 170 grams of sugar (6oz). Washed and ready for bottling. The method of production itself is easy. 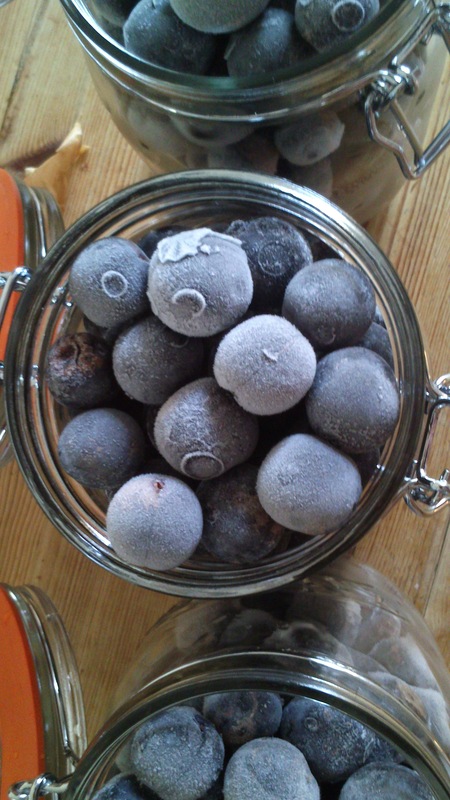 Take your defrosted sloes and stuff as many as you can into your glass vessel of choice, whilst leaving a couple of inches at the top. Old pub gin shoulders are good, but in their absence any old bottle will do. 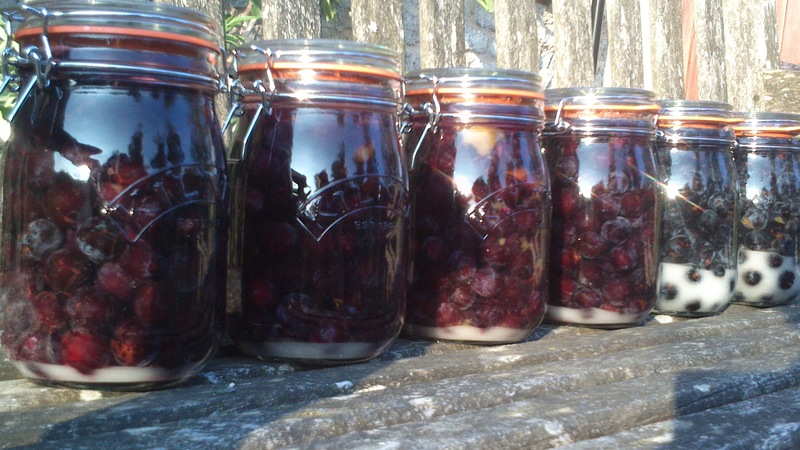 I have chosen these kilner jars with the sealing lids, they’re 1 litre capacity and take about 750g (26oz) of fruit. Next add your sugar. And this, I believe, is the critical bit. The tendency is for too much and the final tincture will be sweet, medicinal and bereft of the delicate hedgerows flavours that make this drink special. I have put in 170 grams (6oz). You will need to shake the bottles to get it all in. Finally, add the gin. I managed to get about 350mm (12.5 fl oz) into our 1 litre pot. Once assembled and the lid is on, you will need to shake the vessels twice a day for a week to make sure the sugar dissolves. After this is simply a case of hiding the bottles somewhere dark. The second critical point is PATIENCE. Immature sloe gin is like cough mixture, a fruity, alchoholic ribena. Time is the key here. 12 months steeping will bring out all the flavours, from the rich berry taste to the slight almond fragrance from the stones. If you can possibly manage it, exercise restraint and drink this year’s batch next year. It will be worth the wait. Come and visit us in 2015/16 and this will be your reward!